← GlossyBox November ~ Spoilers of the Entire Box! Yay! My Yuzen Box has finally arrived! 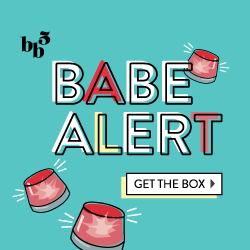 This seasonal/quarterly box is definitely a favorite to look forward to, as it’s always filled with phenomenal spa, bath and body, makeup and hair care products. For $33.00 a quarter, you get high-quality, all-natural and organic products that are great for all types of skin, and are perfect for gifting. Plus, you almost always get products worth 2x what you pay. So now, onto the good stuff! Jane Iredale 24k Gold Dust is a loose glimmering powder… which is definitely New Years Eve worthy. I personally would use it on top of an eyelid primer or base color to add some sparkle and sheen, however it also can be added to a moisturizer to enhance glowing skin or mixed with Vaseline for a wild lip gloss. Next we have Spa Ritual Mini Polish in Golden Rule! I am a huge fan of Spa Ritual… not only are their colors awesome, but the lacquer is pretty high quality and long lasting. I only wish this was a full-size bottle! Kerstin Florian Foot Balm is an herb and menthol blend meant to cool and soothe tired or sore feet. It’s definitely strong, and so I would encourage you to use it within the comfort of your own home, toward bedtime. Menthol has great healing properties, however these types of creams don’t always smell the best. I don’t tend to use hand cream all that often unless it’s winter time (oh hey, good timing for my dry cuticles) or if it just smells heavenly. However, this Jurlique Rose Hand Cream is just light enough and well-scented that it may soon replace my coconut hand lotion. Okay so this one is a toughie for me. I really enjoyed my Sanitas product from last Yuzen box (see here), and so I give the brand a thumbs up. However, I give facial sprays a thumbs down. In my opinion, they’re kinda pointless (unless its summer and sweaty outside) and tend to ruin my makeup. So, I think I’ll either save this Sanitas Moisture Mist until summer or gift it. Tara Spa Therapy Stress Relief Roll On is an aromatherapy roll on ‘perfume’ that is meant to help reduce stress, increase energy and enhance a sense of overall balance. I’m intrigued. I think I’m going to bring this to work! I’m really excited for this Level Naturals Travel Candle in Grapefruit Bergamot. It was a bit sweet, a bit citrusy, and then also had a natural element to it. Very refreshing! Next we have PINO Facial Mask in Milk and Honey, which is a cloth mask with a simple, sweet, soothing scent. Rather than a cream, gel or clay mask, which you wash or peel off, this one stays on for about 10 minutes and then 1-2-3, just take the cloth off and rinse off and you’re done. Now, to the sweet, pampering part of the box: the Sun Cups Dark Chocolate Mint Cups! I’m picky when it comes to mint chocolate, however these were pretty tasty. I also like how these are great for those with allergies and can’t have certain nuts. All in all, I like that they had a bit of a holiday-gold shimmery theme (nail polish and mineral powder), and the prep-products needed to help relax and smooth skin (masks, sprays, foot lotion, relief roll-on) before and after the crazy holidays. What do you think of this Winter Seasonal Yuzen Box? Subscribe (or at least, sign up for the waiting list) here!